The pomp. The pageantry. The exciting wins and devastating losses. Unbelievable feats of athleticism and sheer determination. That’s right – it’s time for the winter Olympics in Sochi, Russia. Everyone has their picks for who will take gold medals and we’re likely to see some unexpected upsets. But there are certain athletes that may have a leg up on everyone else: the Russians. Their review is published in the February 2014 issue of Current Directions in Psychological Science, a journal of the Association for Psychological Science. Allen and Jones investigate two different models that have been proposed to account for the apparent advantage of playing on home turf: the standard model and the territoriality model. The standard model includes several factors that can influence the psychological states of competitors, coaches, and officials, ultimately impacting their behavior in ways that tend to favor home athletes. Research shows, for example, that larger home crowds that show encouraging behavior, like cheering, are linked with home-team success. 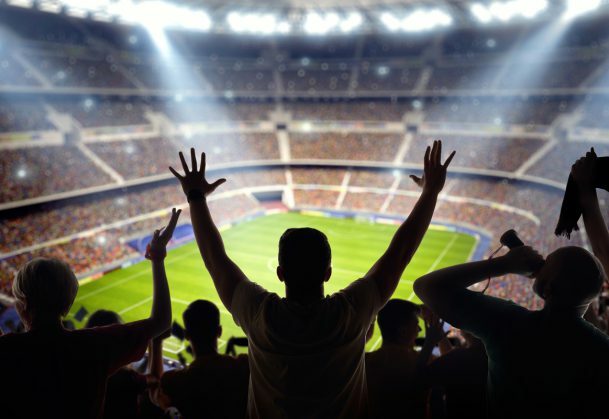 Crowd noise may even impact the kinds of decisions that officials make: When the home crowd is noisy, officials are more likely to make discretionary decisions (such as awarding extra time) that favor the home team and dole out harsher punishments (such as warnings) for the away team. And findings suggest that the home advantage remains even when there is no audience. This may be due, at least in part, to travel fatigue suffered by the away team – one study indicates that the home advantage increases by as much as 20% with every time zone the away team must cross. The territoriality model, on the other hand, specifically frames the home advantage as a reflection of players’ natural tendency to defend their home turf. One study, for example, found that soccer players showed significantly higher testosterone levels before home games than before away games and neutral training sessions. And additional research suggests that increased testosterone may benefit athletic performance through physical aggression and motivation to compete, though the relationship between testosterone and performance needs to be further investigated in the context of competitive sport. But, as Allen and Jones point out, playing at home may come with certain disadvantages, as well. Each of the home-field advantage models has evidence to support their main premises, but it’s still unclear how, or whether, they fit together. And more work is needed to understand the specific psychological mechanisms that drive behavior, attention, and stress responses. Such work “would elucidate under what circumstances, and how, competing at home can enhance (and occasionally harm) athlete and team performance,” Allen and Jones conclude. So, will the Russians feed off the energy of their home crowd and rack up the medals? Or will they suffer from the pressure of having to live up to the expectations of their countrymen? We’ll have to watch to find out!